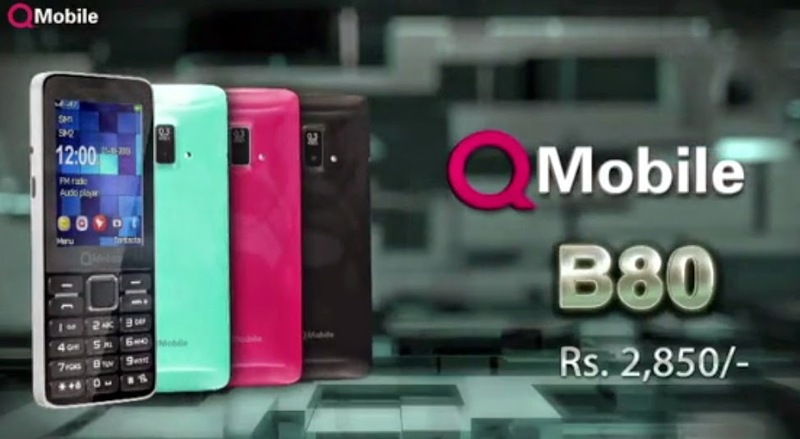 Qmobile B80 smart and stylish handset in affordable price have everything that is enough for entertaining you, Qmobile B80 has built-in FM-Radio and Music Player, Games or you can say it entertainment toolbox. 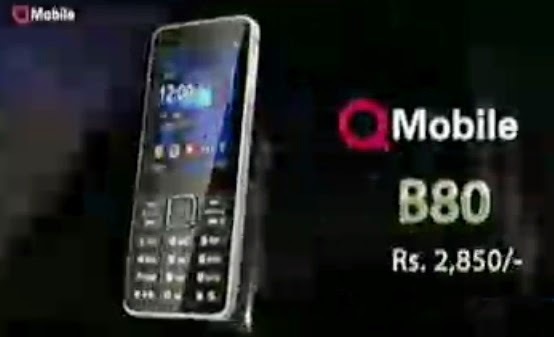 Qmobile B80 is a Bar Phone comes with dual Sim, Built-in memory also supports micro card up-to 16 GB, QVGA display on 2.4-inches screen, Digital Camera,Bluetooth, USB its fun for young's. Colors: Black, Blue, Pink, White. 2.4-inches Screen with QVGA Display, 900mAh Battery Power, Micro SD card supports up-to 16 GB, Dual SIM, FM Radio, Bluetooth, Video Player, Music Player, Games, Torch.